While many visitors to Japan are marveled by the buzzing cities like Tokyo & Osaka, these busy metropolises are only one dimension of Japanese culture that you experience on a cruise with Adventure Life. Sail aboard first class cruise ships like L'Austral, Caledonian Sky, or Silver Discoverer, where you will see this country's imperial past and distinct architecture. Take some time to honor the harrowing history of Hiroshima & Nagasaki, where the world first witnessed the devastating power of the atomic bomb, and then pay a trip to the Shinto Izumo Taisha Shrine - one of the oldest monuments in the country. Trips to Japan also ocassionally feature destinations in the Philippines, Taiwan, and other fascinating destinations of the Bering Sea, between Japan, Russia, and Alaska. Contact us to get started planning! Set sail for the "Land of the Rising Sun" on this 9-day voyage aboard the luxurious Le Soleal. 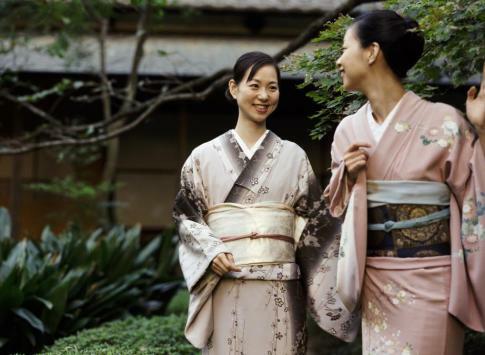 Japan opens its doors to you and reveals its imperial past. Be part of a magnificent 9-day adventure that invites you on a musical cruise in partnership with Radio Classique, with the exceptional presence of Alain Duault. Board the Le Soléal at the spectacular Maizuru and sail to the heart of Japan to fall in love with the traditions and culture of this magical country. Board the Le Lapérouse for a 9-day cruise to the heart of Japan. Set sail for the Land of the Rising Sun the luxurious Le Laperouse brings you to Japan, a country of imperial past, to experience a blend of modernity and tradition in your ports of call. Through this exceptional 9-day sailing expedition invites you to discover the Land of the Rising Sun, where the history of the samurai and the daintiness of the geishas exist side by side. In Maizuru, board the Le Laperouse for a 9-day cruise to the heart of Japan. Join Silver Explorer on its 12-day expedition sailing from the southern tip of Japan’s main island to cross the Sea of Japan to Busan, South Korea and to continue on to Hokkaido. Discover their culture, traditions and visit the historical sites that played a huge part in World War II. Starting in Kobe, Silver Explorer sails around the southern tip of Japan’s main island to cross the Sea of Japan to Busan, South Korea. Experience the ways that modern societies of Japan and South Korea are influenced by their past and learn how tradition still plays an important part in daily life. Feel serenity in outstanding shrines & temples. Starting in Guam, Silver Explorer sails through the Northern Marianas and Japan’s southern islands to finally reach Kobe. This 12-day nature-laden voyage leads you from active volcanoes to tranquil gardens, and also sheds light on the history of the final stages of World War II in the Pacific. Starting in Guam, Silver Explorer sails through the Northern Marianas and Japan’s southern islands to finally reach Kobe. This 14-day nature-laden voyage leads you from active volcanoes to tranquil gardens, and also sheds light on the history of the final stages of World War II in the Pacific. Join this luxurious Le Laperouse on its 14-day historical voyage that focuses on rich historical and cultural diversity of the western Pacific. Discover the history and meet with the survivors and successors at the Peace Memorial. Japan is not only a technological hot-spot, it also offers travelers beautiful culture to experience and natural wonders to explore. The country has maintained a mysteriously unique culture - a mix of traditional heritage and customs with an emerging pop scene. See how these influences have shaped Japan's character, and expect the unexpected on your trip. Shikotsu-Toya National Park - a UNESCO Global Geopark that features a volcanic crater lake. The "Floating Island of Flowers" on Rebun Island. Russia - Crossing the sea of Japan, some of our tours also feature stops in eastern Russia, and the Northeast Passage tours navigate as far west as Europe. Visas are not required for US citizens staying up to 90 days in Japan. Check the visa requirements for more specific information. Tipping is not an expectation in Japan, and waiters and hotel porters will often decline tips. Guides and drivers will accept tips between $5-20 per day. Internet access in Japan is on par with any other developed country - in the major cities, you can count on having access to WiFi and high speed internet, especially in the hotels, cafes, and restaurants. There also might be public WiFi in parks. If you are traveling to more rural areas, naturally you might find yourself out of range. Can I use my cell phone while in Japan? The best way to use your phone is to have your service provider unlock it and then purchase a SIM chip once you arrive in Japan. Then your phone will work on the local network. If you can't unlock your phone, then consider an international plan, renting a phone, or simply using WiFi networks when they are available. Japan has the US/ North America style plugs (A&B) with either two flat prongs or two flat and one round prong, and runs on 100v power. If you are traveling from Europe, you will need plug adapters. Japan is a very developed country, and you will find a mix of squat and bowl toilets, but mostly bowl toilets in the hotels and ships where you will be staying. Bring your own toilet paper just to be safe and never flush it - rather, put it in the waste basket next to the toilet. Can I drink the water in Japan? Japan is our only destination country in Asia where it is safe to drink tap water. You will also always have access to bottled water if you prefer. Are credit cards accepted in Japan? Will I be able to find ATMs? Credit cards are widely accepted in Japan, and it's quite easy to find ATMs throughout the major cities. More isolated parts of the country either might not have ATMs or the networks could be down for days at a time. Many smaller vendors throughout the country also only accept cash, which can be easily withdrawn from an ATM. Yes, purchasing travel insurance before going on vacation is always a good idea. Fortunately, we offer some great comprehensive deals through TravelGuard on our Once You're Booked page. In Japanese, it is called "Nihon," meaning "sun origin." Iconic Mt. Fuji stands at an altitude of 3,776m above sea level. Although it is relatively smaller than many of the world's countries, it has the 10th largest population, with over 127 million people. This booming population frequently must deal with strong and often devastating earthquakes, volcanoes, and tsunamis due to its location in the ring of fire. Sushi and tempura are signature dishes of Japan and are trademarks of the seafood diet. The renowned Samurai warriors are from Japan. While Japan has many of its own pastimes, baseball is also a popular sport. Coffee is one of the most popular beverages in Japan, most of which is imported from Jamaica. The literacy rate in Japan is close to 100 percent, making Japan one of the best-educated people in the world.